Different folktales and some odd land formations make some people remember the story about the lost land of Lemuria that expands from the regions of India all the way to Australia. Just like its contemporary, the Atlantis, this prehistoric land had been mysteriously gone ten thousand years ago. It was in the last part of the 19th century when the English geologist by the name of Philip Sclater started the concept of a sunken continent called Lemuria. Despite the fact that the presumption was not a new idea, the geologist gave proofs and pieces of evidence that even the academicians and experts of that time could attest. In a published manuscript with the title “The Mammals of Madagascar”, Sclater emphasized that fossil remains of the animal lemur were copious in Madagascar and India but can never be found in Africa and the Middle East. Based on this finding, he defended that the two countries, India and Madagascar, were parts of a comparatively wider continent and called it “Lemuria”. 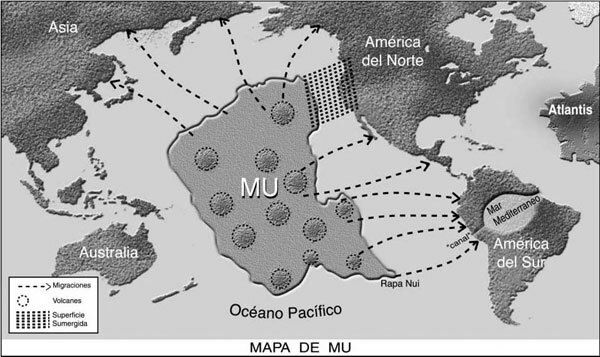 Not long after, the concept of continental drift began, almost supporting the idea of Sclater. Nonetheless, the idea of a sunken timeworn land stays feasible, as there are multiple mysteries found in the area. The first bizarre place which gives us an idea about the existence of the legendary land of Lemuria is the “Adam’s Bridge”, or more commonly known for Indian fellows as the “Rama’s Bridge”, named after a mythical character. This mysterious stretch of land extends from India to Sri Lanka with an area of almost 18 miles. 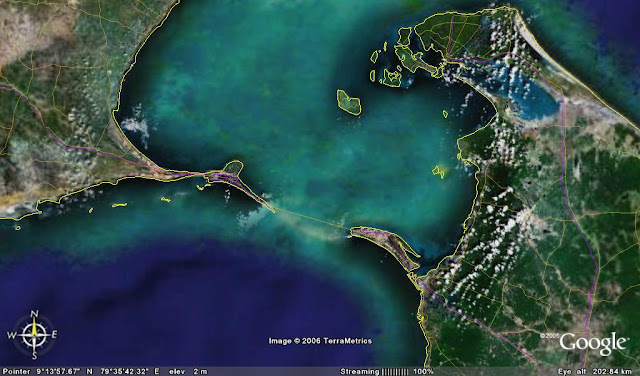 At first, it was believed that it was naturally formed, but pictures captured by satellite from NASA showed that it could probably be a part of a fallen bridge submerged underneath the ocean. The Indian epic tells of the story of how Rama, the hero in this Indian epic, built a ginormous bridge to lead his army of ape-like men called Vanara across the sea to get to the land of Lanka, where the demon-god Ravana held Rama’s wife Sita captive. The account may not be factual and believable but the presence of what could be remnants of the mysterious bridge may testify to what the legend tells. Kumari Kandam, is another name for the land of Lemuria. This name is generally used by Tamil people, an ethnic group who had a firm belief in the presence of the legendary continent. There is an estimated population of 76 million Tamil people all over the world as of the moment. They live all across the countries of India, Singapore, Sri Lanka, Mauritius, and Malaysia. In addition, the Tamil language is believed as one of the oldest dialects ever written. Based on stories about their origin, the Tamil people are the progeny of the Pandiyan kings who exercised authority over the land that was engulfed by the seawater thousands of years ago. The Tamil people assert that the rule of their primogenitors covered the majority of the Indian continent, and they affirm that their civilization was the first one to ever exist. 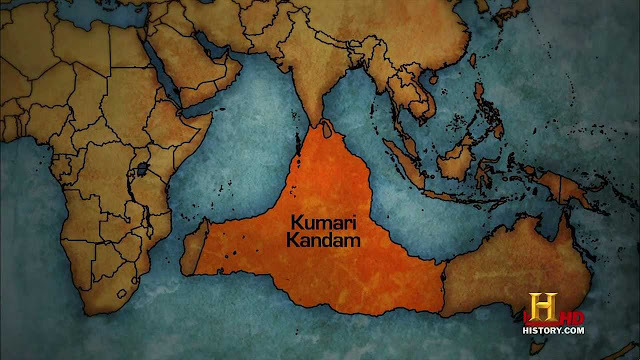 The inhabitants of Kumari Kandam are said to have moved to different parts of the world when the land got flooded. A part of the story also tells that this group of people played a big role in other civilizations that came next to them. This supports the assertion that the ancient continent of Lemuria is the fount of civilization. Considering the geologists’ studies, the continent of Lemuria had been separated into portions during the last part of the Mesozoic era due to the rising sea level. In a study of The National Institute of Oceanography (of India), it was clear that the level of seawater was approximately 100 meters lower around 14,500 years ago compared with its level at present. It progressively rose up due to the melting of ice caps. The recurring flood started and because of this, a great are of the landmass had been totally covered by water. This event caused the disappearance of civilizations which sprung near the coastlines, just like the Lemuria. With the emergence of advanced technology, it will be reasonable to discover the existence of this legendary continent, but the going deep down the ocean is still a Herculean task to accomplish. It may seem impossible for anyone to finally witness the remains of Lemuria, but stories about this land will still amaze people all around the globe especially in this new age of technology. No one can ever tell. A time may come when everybody can become an archaeologist and might stumble upon relics of our heritage.